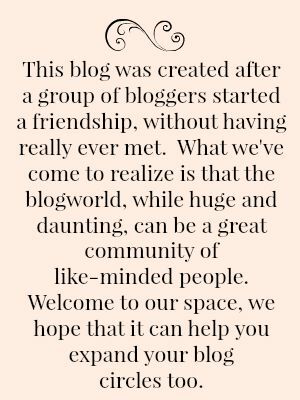 It might be the first day of August but I am so excited to share a little fun that's been happening with my friends, the incredible ladies of The Blended Blog! 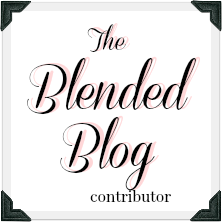 Make sure you check The Blended Blog out! The ladies of the Blended Blog are spread out across Canada and the U.S. and we decided to have a little fun by participating in a gift exchange. 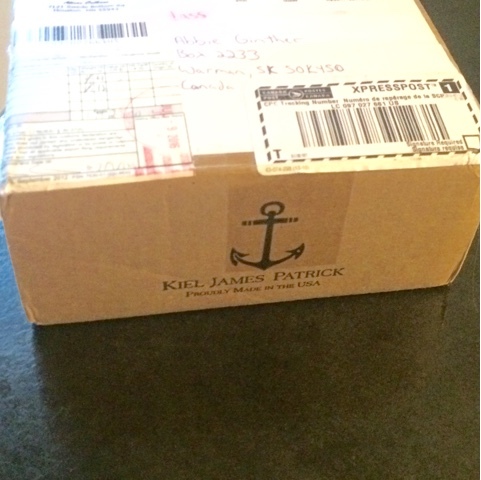 Our Christmas in July challenge was to brighten the day of the lady receiving some goodies in the mail and to put a little local flair in the package. I was pretty excited when I drew Katie from The Mishaps and Mayhem of a Solitary Life. We're both teachers and Katie just seems like such a blast. 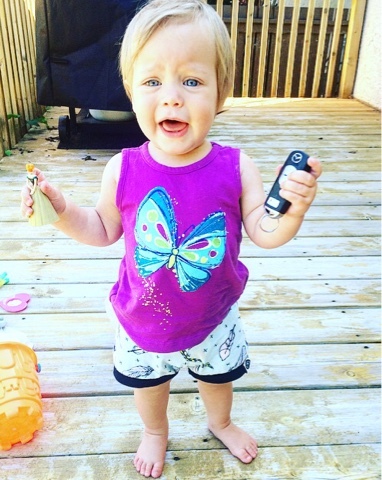 I can't wait to meet her next year in real life when we all get together in Toronto! 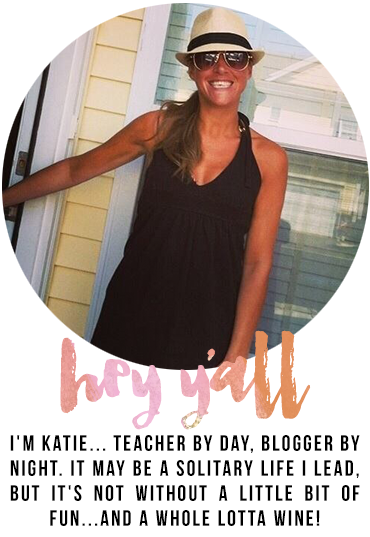 Head over to Katie's blog for a peek at what I sent her! If you follow along on my daily disasters, you'll know that our family just packed up and moved to a new city for the next year. Got the key! Let's hit the road! 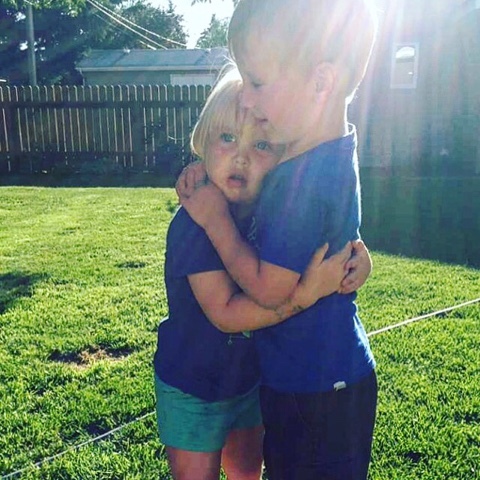 It was an incredibly busy month and the week before we left our home was pretty exhausting and pretty emotionally charged for me. Okay, for everyone. It's pretty tough to say goodbye to your best friend. Sob. ... instead of packing another one! So what was inside? The first thing I saw peeking out at me filled me with delight because CANDY. 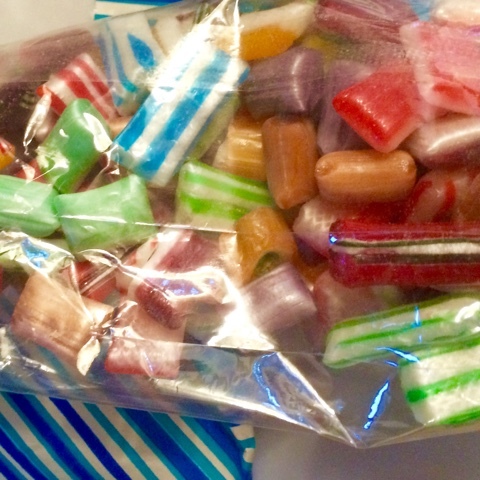 Delicious hard candy from a store in Alison's town. LOVE IT! I'd like to say we're still enjoying it but ummmm... we ate it. Okay, I ate most of it. The box wasn't blurry. I just can't take photos, okay? 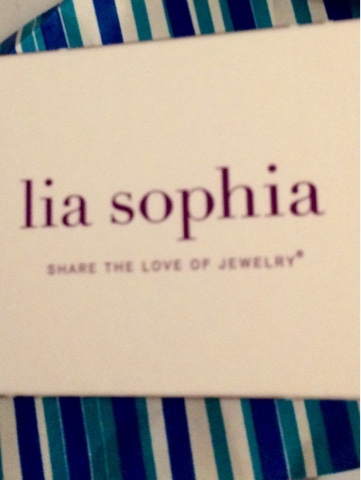 ...and opened it to find the cutest earrings! 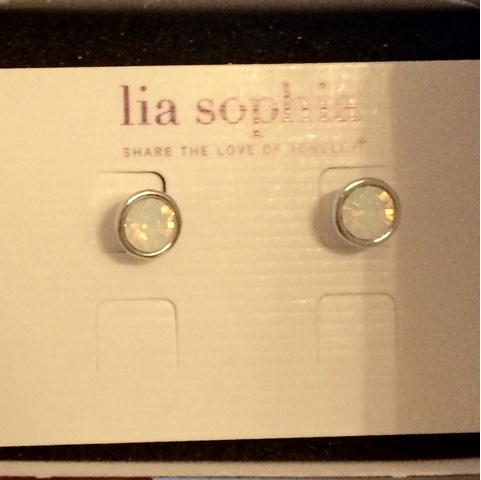 These iridescent studs go with everything and I have been wearing them pretty much non-stop for the last two weeks. So there you have it. This fun gift from Alison made my day! 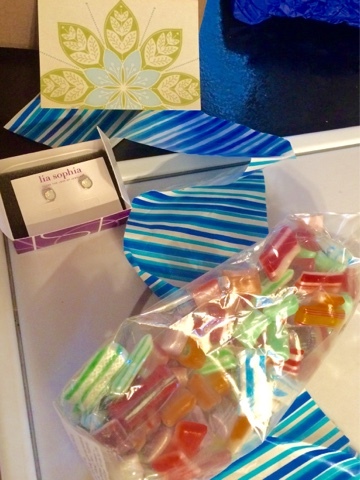 Why not head over to her blog, Puppies & Pretties to check out what fun swag she received and if you're interested in all the fun, check out the full list of ladies from The Blended Blog below! 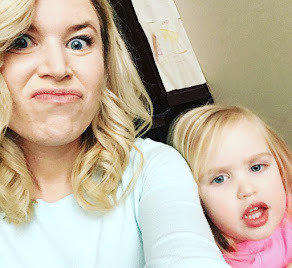 OH, and in case you're wondering, Mombies Unite will be back on track next week but you may want to stop by the blog a few more times this week because there'll be lots going on, from hair curling to baby books and summer fashion link-ups, the next few days are going to be hopping.